A brand-new new adult instalment of the most popular YA series in all the land! Princess Mia is engaged to be married, but since when in Mia's life did anything go to plan?! Fall back in love with Mia in this new book for older readers. I can’t believe I got to read this book. When I finished reading The Princess Diaries series OVER THREE YEARS AGO, I never imagined I’d be reading about Adult Mia’s life. It was all my dreams come true when I found out there would be a new Princess Diaries book!!! The Princess Diaries series was the first YA book series I ever read, so they mean a lot to me and they’re a favourite of mine. 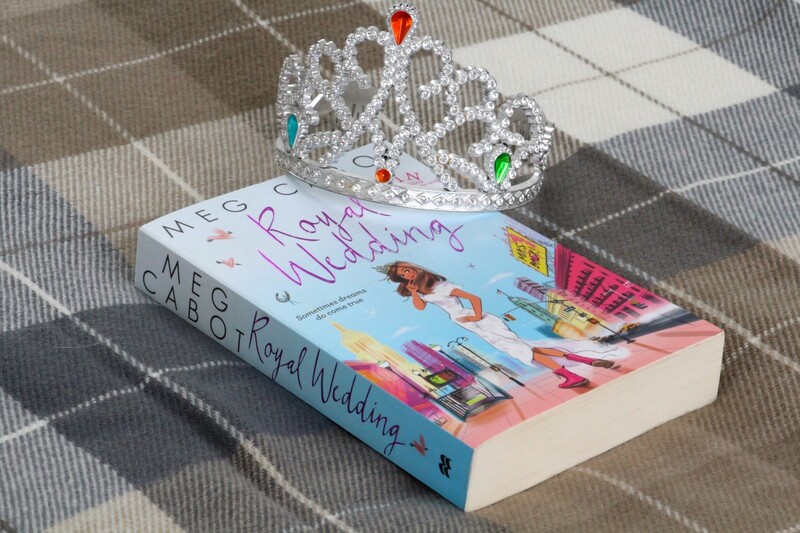 The latest instalment, Royal Wedding, was equally as amazing as the rest and, after finishing, I was left screaming, “MORE!” I don’t think I’ll ever be ready to let Mia go. We all know the likes of Cinderella, Elsa and Snow White, but they do not compare in any way to Mia. I loved seeing her all grown up and, although she hasn’t changed since her teenage years, she has matured in a way that is recognisable to diehard Princess Diaries fans. I think one of the things that makes me laugh most in the books is the mentions of the films of Mia’s life. We all know the actual Princess Diaries adaptations weren’t exactly faithful to the books (I will never get over Nice Grandmere, however much I love Julie Andrews), so for Meg Cabot to mention them in the books is hilarious. I feel as if Mia and Michael are my children who just happen to be older than me. That’s not weird, is it? I’ve grown up with them and they are the epitome of RELATIONSHIP GOALS. I just want to smoosh them and hug them. Royal Wedding was so perfect and I can’t stop reading it over and over again. If you’ve read it, please rave with me about how good it is. I need a Royal Wedding support group. Have you read Royal Wedding? Did you love it just as much as I did?